My head hurts like crazy. Throbs on the inside and aches on the outside. The back of my head is tender when I lay it down. Painful. 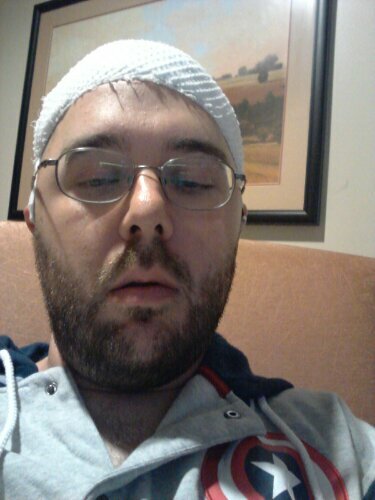 I have these sensors off of my brain now and have all the openings stapled shut. Hope the pain goes away fast. Will continue with our prayers for you, the Drs, and your family. Tell your mom and dad hi from us, we are praying for them also. Hang in there God is in control. Hang in there Bud, sending lots of love, hugs and prayers!! Love you!